In Michael Bond’s original Paddington book, A Bear Called Paddington published in 1958, the furry young hero tries painting, gets lost on a shopping trip, builds sandcastles and messes up a magic trick. Across the subsequent twenty plus books his adventures have also included the search for a missing marrow, decorating a room, getting a cold, going boating, doing the laundry, mowing the grass, making toffee, cleaning a chimney and visiting a marmalade factory. He even takes part in the Tour De France and wins TV quiz show. At no point, though, is he chased by an evil taxidermist who wants to kill him and mount him in a glass display cabinet, yet that is what happens in this film. On the one hand I see the need to ramp up the action and drama for the little bear’s first big screen outing but in moving away from the simple stories of the books you do lose some old school charm. It’s like having My Naughty Little Sister caught up with diamond smugglers or having Mog the Forgetful Cat expose an African poaching ring. These stories have worked perfectly well for decades, they don’t really need Hollywoodising. Even through my nostalgia tinted spectacles though, I can see that Paddington is a good film. I don’t think it is the masterpiece of children’s cinema some of the critics are hailing it as but it does have lots of endearing characters and some cleverly executed slapstick and importantly it’s the same old bear in the middle of it all. It may not be as delightful as the source material (or the stop motion/2D animated TV show from the 70s and 80s), but for all of the contemporary action, this is still our Paddington. He is just as humble, polite, inquisitive, well meaning and clumsy as he ever was. He still has the hat and the blue duffle-coat, he still loves marmalade and he is still quintessentially British. Of Course Paddington isn’t actually supposed from the UK, he’s an illegal immigrant from darkest Peru, but the film explains his clipped Home Counties accent. The hat and the coat get a new back story too but all the additions feel in keeping with Michael Bond’s original vision. Nothing about the narrative is particularly innovative but it is all enjoyable. Similarly the cast is good but comprised of all the usual suspects; Hugh Bonneville, Sally Hawkins, Julie Walters, Jim Broadbent, Michael Gambon, Imelda Staunton and Peter Capaldi. Nicole Kidman is the only one you might not automatically expect to see in a big British family adventure movie but, even though she plays the outlandish villain, she fits in well. 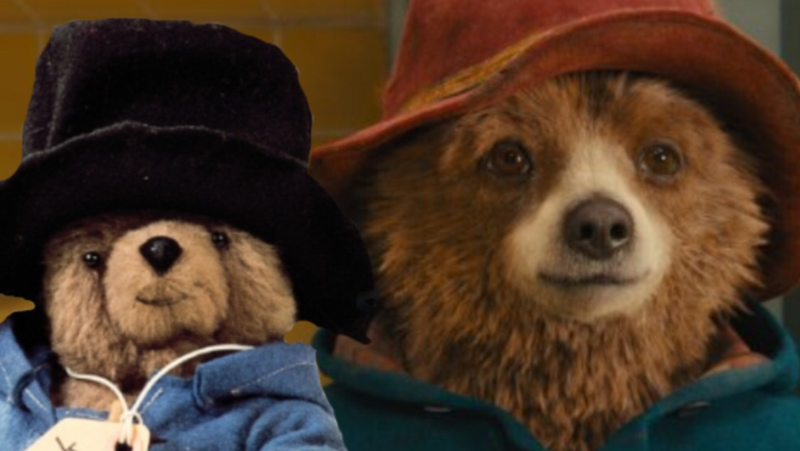 Paddington himself was originally going to be voiced by another favourite from these shores, Colin Firth, but ultimately the job went to Ben ‘the new Q’ Whishaw. I don’t know if this change was an artistic decision but actually, while Whishaw’s tones do not stand out, he works better than I think Firth would have done. He has a youthfulness to his speech that allows the character to come over as appropriately naive. I imagine an older voice might just have made him seem obtuse. For all the lack of surprise in the story and casting though, the direction has some nice flourishes. The person in charge is Paul King who called the shots on Noel Fielding and Julian Barrett’s twisted sit com The Mighty Boosh and if you’ve ever seen that show then you’ll have some idea of what to expect here. While surreal most extreme sensibilities are clearly reigned in. There is no Tommy Nooka the Cheese Priest, Stinky Crack Fox or Milky Joe Coconut Head this time but there is a random Calypso band that keeps showing up and tiny people stepping off toy trains. There are also some sequences at the headquarters of the Geographers Guild that are a particular quirky joy. They have a great system for retrieving information from their databases, it’s like the internet if it were invented by Heath Robinson. Paddington then is just another updating of a story from our childhood but there is much to recognise here and much to enjoy. My view, of course, is that of a forty something and children will not saddled with the same expectations. I was accompanied by my five year old daughter, unfamiliar with the books but excited off the back of a very enjoyable hour we spent hunting bears on the Paddington Trail round London. She came out excited and full of plans to buy the DVD but actually I think she is perhaps a year or two too young to have got the most out of it. She loved the extended mishap scenes, the best of which is a bathroom sequence clipped for the trailer, but did lose interest during some of the more talky bits. There has been some discussion in the press of this being a PG rather than a U. It seems the two scenes that promoted this certificate were an earthquake sequence at the start and a flirting scene between two men (one of whom thinks the other is a woman and the other of whom is trying to not get busted for being a man – classic British humour). Neither of these moments are actually that scary or discomforting and the young moviegoer accompanying me had more of an issue with ice queen animal killer that wanted the hero’s skin. Even that was fine though, she is no worse than any number of Disney witches. There is nothing here to really worry a younger audience. The main villain may be a woman but so are three or four of the good guys. Mrs Brown, Mrs Bird and older sibling are Judy all independently influential in moving the action on and saving the day and then there is Paddington’s benevolent matriarch Aunt Lucy. Quite seriously, the gender politics are good on this one. I agree with the thrust of the review – this is a delightful, funny film, that we (pensioners both) thoroughly enjoyed (as did the children delightfully laughing out loud in the seats behind and in front of us). And it does of course have a powerful message about the welcoming of all strangers. Kermode wrote a great line at the end of his review. He said that Paddington’s tag says ‘Please look after this bear’ and they have. I wish I’d written that.